Inspired by the boyfriend’s cosy appropriated sweater but cut for the girlfriend’s figure. She will love you forever with this truly luxurious but low key and chic winter knit. Waisted cut with a deep rolled collar. 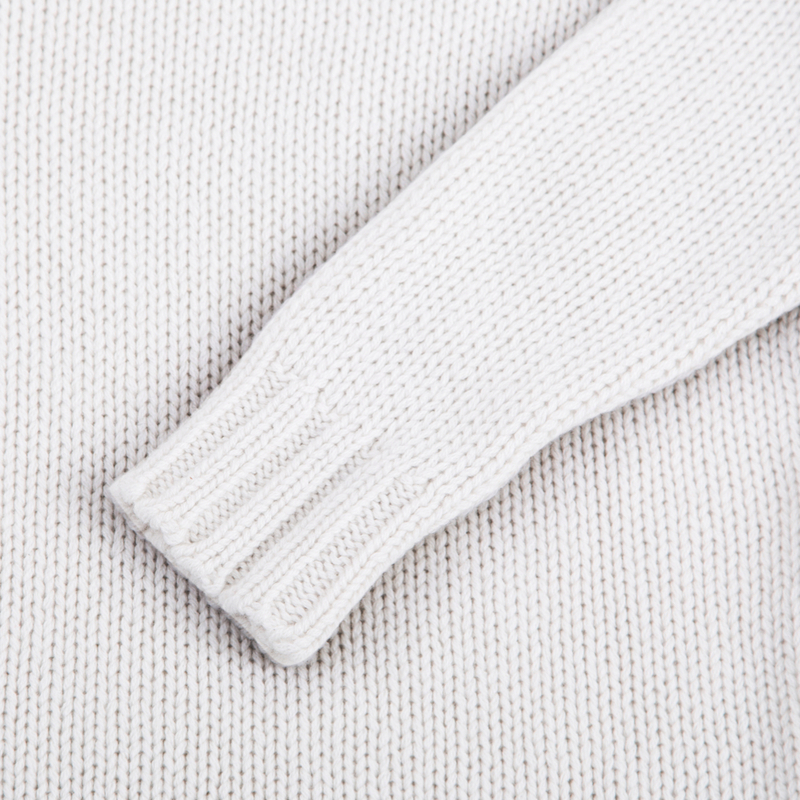 Expertly and exquisitely hand crafted 3 ply pure cashmere in cloudy Wisp white. Wear with satin pyjama trousers for glamorous chalet chic or denim for weekend lunch dates. This sweater is designed for a relaxed, boho-esque, artisanal fit. More on sizing and size help ? Shipping costs will automatically be calculated at the time of checkout. For other destinations and for other shipping methods or services please contact us at hello@thetailorretailored.com or call us on +44 (0) 131 667 7213.